Shay Olivarria will be speaking with Amanda (@MarocMama) and Chantilly (@BiculturalMom) of Multicultural Familia about personal finance. Guess what? I’m going to be the inaugural guest on the Multicultural Familia Radio Show! I’m thrilled to be invited! In case you haven’t heard of Multicultural Familia (how have you not heard of Multicultural Familia?) there’s more information below. Feel free to check ’em out, subscribe to the blog, and add them on Facebook. 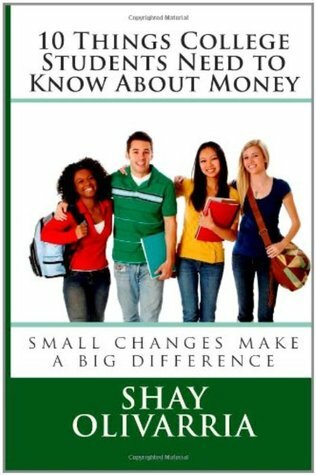 Shay Olivarria is a financial education speaker, former newspaper columnist, former foster youth and author of All My Mistakes: Money lessons for emancipating youth, 10 Things College Students Need to Know About Money and Money Matters: The Get It Done in 1 Minute Workbook. On Wednesday’s show, Amanda (@MarocMama) and Chantilly (@BiculturalMom) will be talking with Shay about financial education for children and young adults, and how parents can empower their kids to take control of their future through financial planning, education and entrepreneurial experiences. Follow us on Blog Talk Radio. Bookmark the show! Wednesdays at 9pm EST/6pm PST, Multicultural Familia will be hosting biweekly shows on Blog Talk Radio about a variety of topics relating to multicultural families. The one hour show will include interviews with with parents and experts, guest appearances from popular multicultural bloggers and commentary about the latest ‘hot topics’ in the news. Please join us on Wednesday, May 16th at 9pm EST/6pm PST for our first LIVE broadcast and follow us on Twitter at hashtag #MFamRadio or in our online Facebook Forum to join in on the conversation. I’ve run across many people that seem to think that having a job is the best way to create financial stability. I’m aware that it’s a common idea, but it always floors me when I hear it. Owning a business and having passive income are much better ways to create financial stability for you, your family, and your community. Let’s look at the idea that your job is a stable source of income. Ha! Your job is not as stable as you might think. We all know people that have been laid off for no reason other than it was best for the company’s bottom line. You will be hired or fired based on the needs of the company. Your employment, from the business’ perspective, has nothing to do with your needs. What about the idea that having a job brings in “good” money? A job provides x amount of money for y amount of time. Usually you’re trading your time for a specific amount of money without understanding the affect our specific work has on the company’s overall bottom line. Businesses are in business to make money, so it makes sense that whatever amount you are being paid is obviously much less than that work is actually valued at. …. click here to read the whole article. Click here to check out all the articles from Shay on BlackVoiceNews.com.